Web technology is growing rapidly and has developed massively in a very short span of time. This growth has helped web technology to reach a countless number of people and has likewise ended up being very useful. One can reap benefits of technology by implementing it in its early stages and not in its pinnacle. Thus, it is important that you get to know the trends of tomorrow and incorporate them into your web development design as soon as possible. However, implementing web development trends is a quite troublesome task. In 2017, numerous new web development trends came into being and gained prominence. Here are probably the most popular web development trends that must be included in your web development campaign in 2018 as they are predicted to affect the web development industry. Artificial Intelligence, Chatbots, and Machine Learning: Offering a user-friendly experience is the intended plan of every website owner. Replying to the client's queries and helping them in their task is equally important. Many of the organizations hire humans to give 24*7 support to their customers. And, many of them take the help of AI and machine learning. They use AI to make chatbots that can guide your customers and provide them instant support. The communication with chatbots has been increasing day by day and has reached out to various platforms like social media websites, online business websites, applications, and many more such platforms. 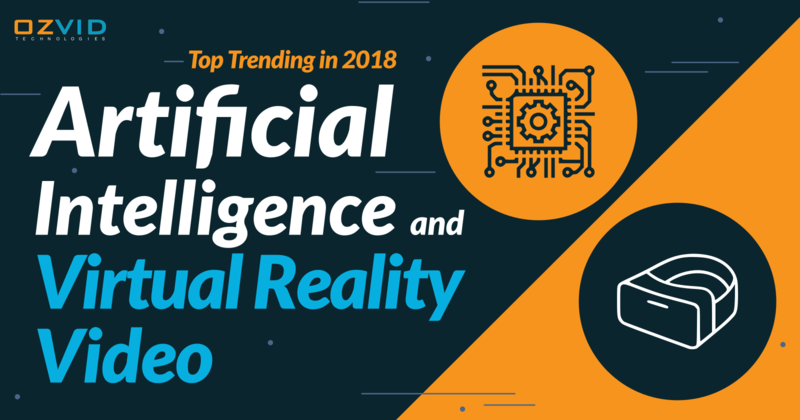 With the passage of time, AI and machine learning have gained the capacity to take care of even the unpredictable issues. It can also give better customer service to the users and furthermore make it productive. It manages your clients to finish an exchange, answer their queries and redirect them to the appropriate portions of the website. A few platforms like Facebook, Twitter, Google, etc have already invested in the chatbots, AI, and machine learning and is relied upon to roll out noteworthy improvements in the web development industry. Virtual Reality and Augmented Reality Video: The quick development of the web speed access to the public has helped the clients to consume content, where videos end up being a noteworthy form of data consumption. In 2017, 360 videos, 360 images, virtual reality videos and interactive videos also came into the trend. As of now, it has not been able to become quite popular as it is a bit costly to make the video and implement it on the website. This can help you to give a better experience to the users and even get better sales. Despite the fact that, these have not moved toward becoming standard in the eCommerce websites, but rather can be attempted in the video hosting services. Numerous websites like Google, YouTube, Microsoft, etc have been actualizing it into their websites. You can watch interactive videos and YouTube videos on VR. This, in the not so far future, will turn into a standard type of video communication. As web development is ceaselessly transforming, it is important that you remain updated with the most recent trends. This could be possible by checking the professional web development companies, pick which technologies should be implemented for the advantage of your clients and the better thoughts must be performed at the soonest.